I rode out to the airport in Copenhagen (which is no big deal) this morning, to meet this fine British chap, Hugh Fearnley-Whittingstall. He was arriving from the UK to film a tv show about Copenhagen and Denmark and we thought it rather appropriate if we adjusted him immediately to Copenhagen life and saturated him in our bicycle-frienly city from the word go. 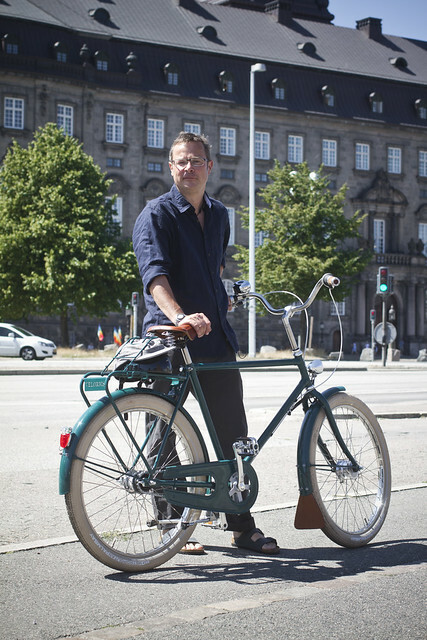 We chucked his bag in my Bullitt and he hopped onto a Velorbis and we cycled into the city centre - past Christiansborg (which the whole planet seems to know as Borgen, thanks to the television series), where I took this shot. I filled him in on all the aspects of a mainstream bicycle culture (which really is a non-culture), planning liveable cities with the bicycle as the most powerful tool for change, as well as the finer points of Cycle Chic. 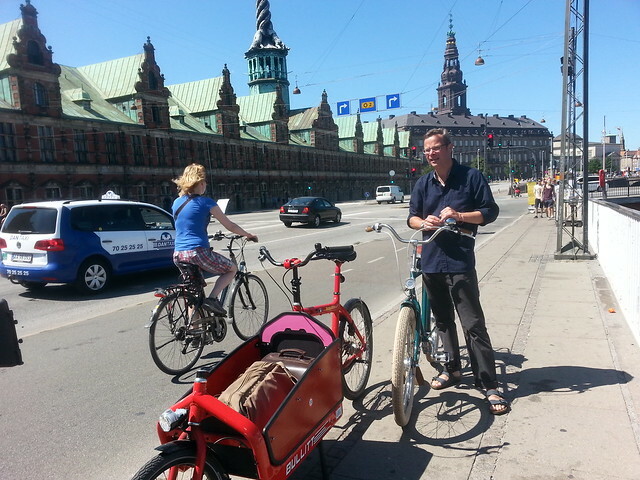 We rolled casually through the city, hardly breaking sweat as we pedalled and chatted and I delivered him to his hotel. 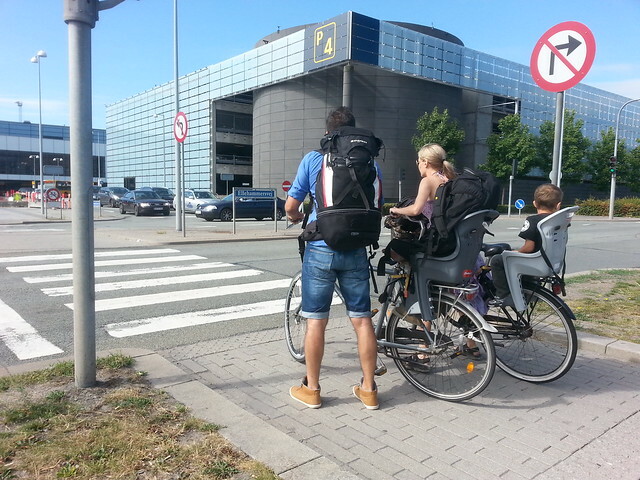 It was almost orchestrated when we were leaving the airport and we saw this Copenhagen family arriving with their bags on bicycles, ready to head off on a summer holiday. For Hugh, it was the perfect arrival in this fine city. Easing him into the city from the airport, down the cycle tracks that gradually grew more and more busy with bicycles as we got closer to the medival city centre. And all on a gloriously sunny day. Looking forward to seeing Hugh's program when it comes out!